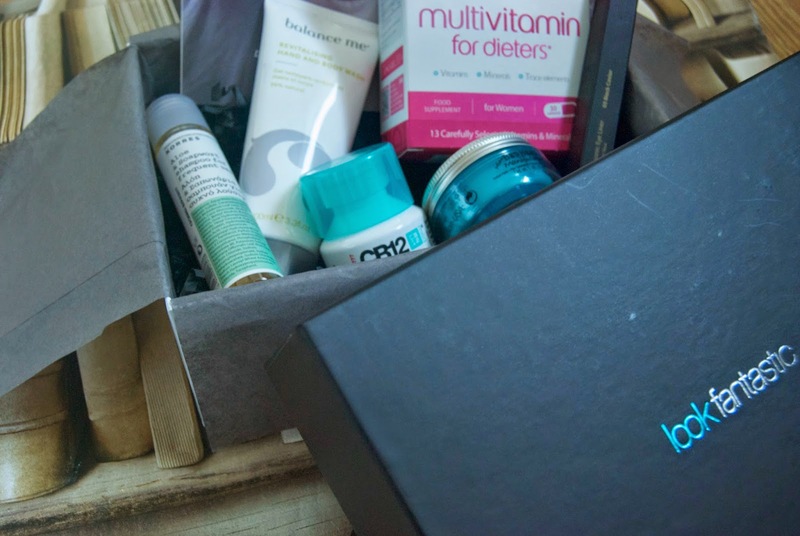 The first in a series of blog posts for me, LookFantastic asked me to join their beauty box review team and of course I said yes. I’d heard really good things about this box, so many other boxes seem to leave bloggers disappointed but not this one. The box had 6 products in total inside, I was impressed by the size of the products I received. First up was the Inika eye pencil, funny after I’d just reviewed their face in a box. I received the pencil in the colour Black Caviar, it glides on incredibly easily and is a really intense black. It’s easy to smudge too, so you can get that perfect smokey eye. Next up we have Korres Aloe and Soapwort Shampoo which left my hair feeling squeaky clean. I have very fine hair that can get greasy quickly so I like a shampoo that gets right to the root and gets rid of any build up of product. I also received a mini Bed Head Manipulator, which is their texture paste. I can add this to my roots to give my hair more volume when I’m blow-drying but most likely my boyfriend will be taking this to do his hair on a morning. I’ve been trying to take more vitamin D lately because of a serious case of hand eczema (more on that another time). So I was really pleased to receive the Forza 30 day multivitamins, not only do I get my dose of vitamin d but it also includes zinc, vitamin c, vitamin b and vitamin k. I hope these give me the boost I need, on top of a normal diet of course. 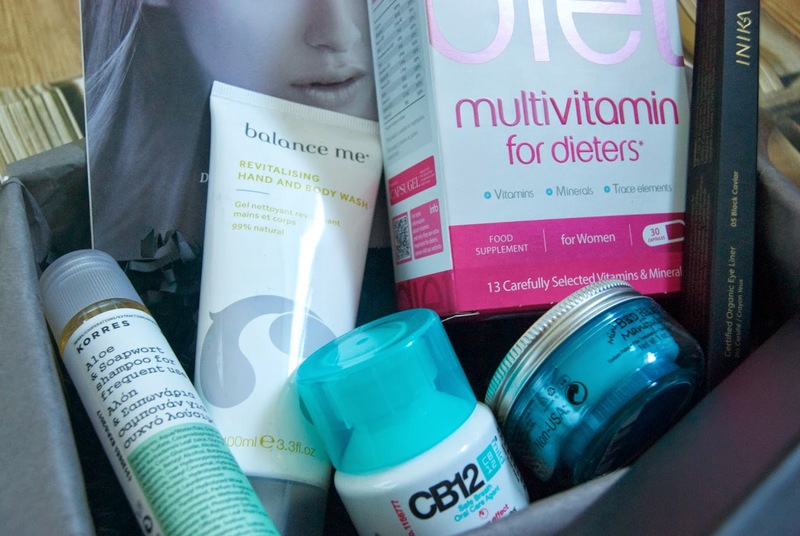 A handy little bottle of CB12 was included in the box, great for popping in your handbag for a freshen up before you head out for drinks after work. Minty fresh breath for hours! Lastly I was lucky to get the balance me revitalising hand and body wash. It has such a fresh smell, with ingredients such as grapefruit, spearmint and juniper it gives you that boost so you’ll feel ready to start the day. I like that this foams up properly too, I’ve had other washes which didn’t really feel like they were doing much. "What I Wore: McArthurGlen Designer Outlets"